Murder rates are from the FBI‘s “Crime in the United States” and are per 100,000 population. In calculations that include Kansas and New York, Kansas is counted as a death penalty state from 1994 and New York from 1996, since New York’s law did not become effective until September, 1995. Michigan Lawmakers Reaffirm State’s Longstanding Ban onCapital Punishment –In a vote upholding the state’s longstanding abolition of the death penalty, Michigan lawmakers refused to support a measure that would have put capital punishment before state voters in a referendum. The vote fell 18 short of the 2/3 required for passage. During a lengthy House debate regarding the bill, Representative Jack Minor (D-Flint) told his colleagues that studies show crime rates are lower in states without the death penalty. He noted, “The death penalty’s not a deterrent. In fact, the figures would suggest it’s just the opposite.” Other opponents of the measure stated that “revenge” would not help victims’ families. Michigan has not had the death penalty for 158 years, and voters have not addressed the issue since its abolition was included in the 1963 revision of the state constitution. Michigan is one of 12 states in the U.S. that does not have a death penalty. (Michigan Live, March 19, 2004) The state was the first English speaking government in the world to ban the practice. States Without the Death Penalty Fared Better Over Past Decade – In the past ten years, the number of executions in the U.S. has increased while the murder rate has declined. 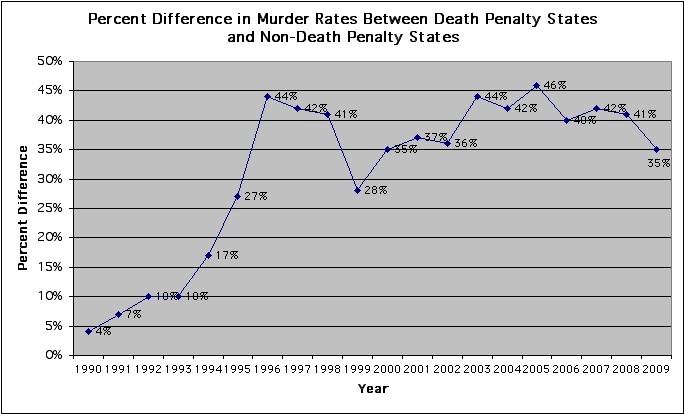 Some commentators have maintained that the murder rate has dropped because of the increase in executions (see, e.g., W. Tucker, “Yes, the Death Penalty Deters,” Wall St. Journal, June 21, 2002). 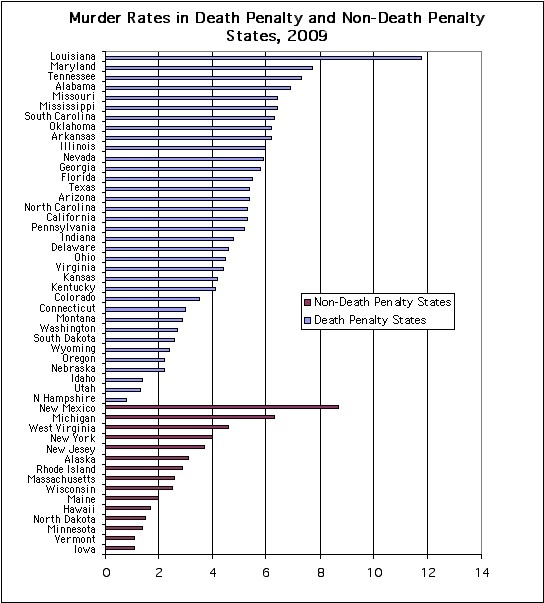 However, during this decade the murder rate in non-death penalty states has remained consistently lower than the rate in states with the death penalty. A look at neighboring death penalty and non-death penalty states show similar trends. 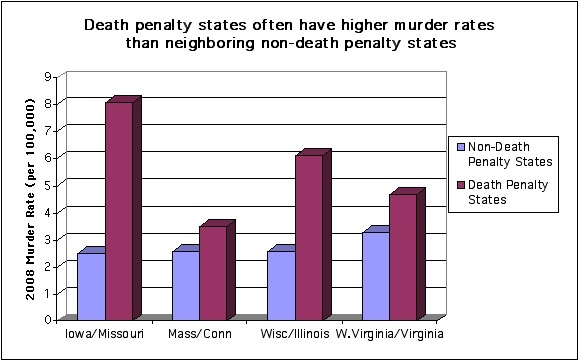 Death penalty states usually have a higher murder rate than their neighboring non-death penalty states.